It seems there’s something promising upfront as popular Pidgin English rapper, Erigga and talented/well-known rapper, Yung6ix reunites at his (Erigga) Thank You Concert that was held in Benin City, Nigeria last weekend. The sold out event that accommodated more than 7,000 fans was truly exceptional as it brought tears of happiness following the evergreen performances from artists. It was hosted by teen Nollywood actress, Regina Daniels. The show featured popular Nigerian rapper, Vector, Yung6ix and Talk Sensation, Mr. Jollof. It also covered the likes of Shuun Bebe, Victor AD, Gasky, Comedian Edo Pikin and others. 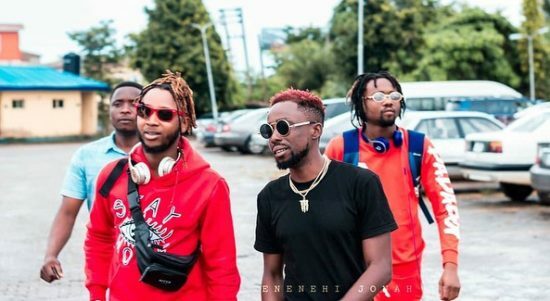 The moment fans saw Yung6ix, there was no better kudos they could give to Erigga for re-uniting with his Warri brother than to shed tears of joy as they enjoyed the songs performed. Primetweets has always been in support of these two and we love this welcoming approach. Erigga has been on the News for some months now following his trending hit song, Motivation. The song has become the talk of the town these days and he has added to his fanbase and credited accordingly. He also got involved in this year’s Hennessy Cypher and the video is yet to be released. Though, he has assured his fans of a credible performance. 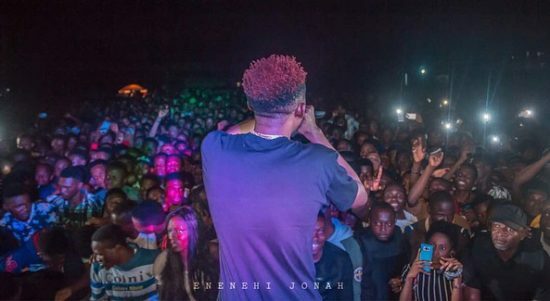 0 Response to "Erigga Re-unites With Yung6ix At His “thank You Concert” In Benin"